The ski Tip Clip is the quintessential confidence booster making kids more comfortable on their skis by helping them form a wedge to facilitate turns, control speed and also on that last run of the day when they are feeling a bit tired. 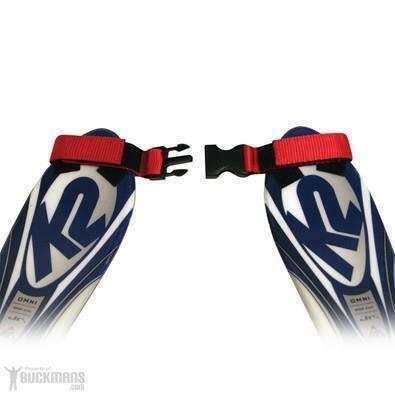 Proven ski tip connection device to help kids form a wedge with their skis, turn, control speed and keep ski tips from spreading out. 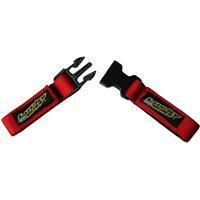 Attaches to skis with Velcro so it's ready all season for easy on & off. Helps kids form a wedge with their skis to turn, control speed, boost confidence. Unbuckles easily to accommodate walking, sliding, and riding the chair lift. Please note: ships in assorted colors as available.